Fantastic home in established, quiet neighborhood with a park-like setting! Easy access to interstate! 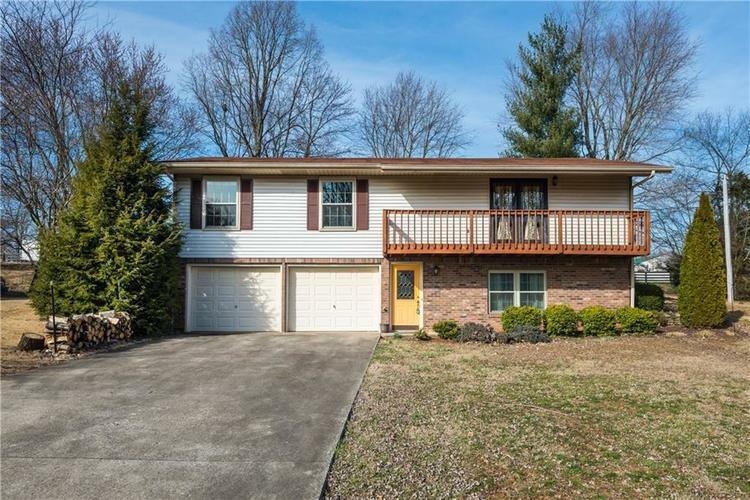 This bi-level home is move-in ready! 3 bedrooms, and 2 full bathrooms! All 3 bedrooms have brand new carpet! Engineered wood flooring in the main living area upstairs. Living Room & Family Room! Wood burning fireplace! 2 car attached garage! Immediate Possession at Closing! Directions:I64 to Georgetown exit, turn right onto State Road 64, take a left onto Richland Drive, home will be on the right. Recommend using GPS.